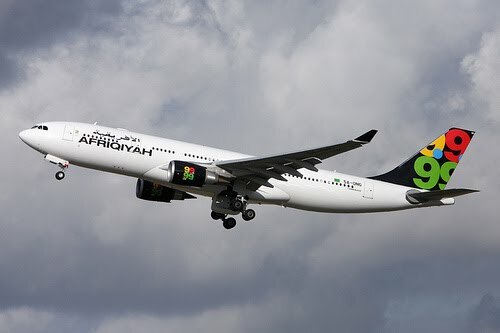 12 May 2010; Afriqiyah Airways; A330-200; Flight 771; near Tripoli, Libya: The aircraft (5A-ONG) was on a scheduled international flight from Johannesburg, South Africa (JNB) to Tripoli, Libya (TIP) with 93 passengers and 11 crew on board. Of the 93 passengers, 82 were traveling onwards to destinations in Europe. The aircraft was relatively new, having been delivered only last September. The aircraft has reportedly experienced fewer than 500 flights and 1600 flight hours prior to the crash. Early reports indicate that the aircraft crashed short of runway 9, and that all 11 crew members and 92 of the 93 passengers were killed. 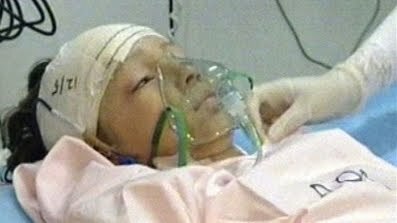 The sole survivor was Ruben van Assouw, a young Dutch boy who is about 10 years old. This would make this event the 16th sole survivor event since 1970. According to AirSafe.com,in eight of these 16 sole survivor cases, the sole survivor was a child or teenager. A crew member was the sole survivor five times, an adult passenger was the sole survivor in two cases, and there was one other case where the age of the surviving passenger could not be determined. Afriqiyah Airwayss has been in operation since 2001 and has no previous fatal plane crashes or other serious safety events. The airline currently has about 10 aircraft in its fleet, including two remaining A330-200 aircraft. With respect to meeting international standards, the two most prominent rating authorities are the FAA in the US and the European Commission. The FAA's International Aviation Safety Assessments (IASA) Program categorizes countries rather than airlines, but in their latest published summary from December 2008 did not rate Libya, where Afriqiyah Airways is based. Libya does not have any direct flights to or from the US. The European Commission restricts individual airlines or even individual aircraft, but their latest "blacklist" of airlines from March 2010 did not include Afriqiyah Airways. The aircraft has been in service since 1994 and has been involved in in two previous fatal plane crashes, one that occurred during a test flight and last June's crash of Air France flight 447 in the Atlantic Ocean near Brazil. The most recent serious event involving an A330 was a Christmas Day 2009 failed bombing attempt on Northwest Airlines flight 253 near Detroit. According to AirFleets.net, about 682 aircraft were produced, and about 660 remain in service. AirSafe.com will provide updates to this investigation as they become available. That's too bad, my thoughts are with the families and friends of those involved. Best of luck to the boy who survived. airbus is not my favorite aeroplane, and nerver will be, but it's real loss of life, gone, just like that. While the Libyan Civil Aero investigation team isn't heavily staffed, it's been nearly a month and there's no preliminary report. Last report indicated the voice and data recorders were sent to Paris. No indication of whether data was/is retrievable. The Libyan Govt's website remains "down"
Perhaps the UN will have to convene a commission to help the Libyan's and French.